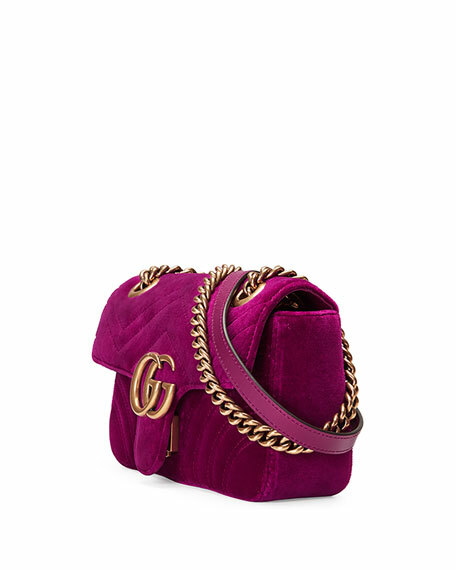 Gucci quilted velvet crossbody bag with leather trim. 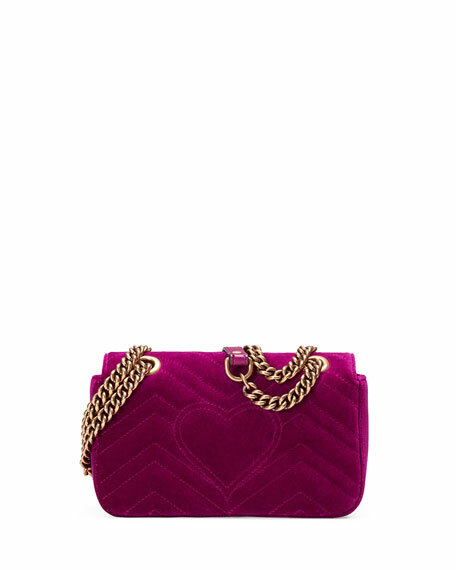 Sliding chain strap can be doubled, 11.5"-22" drop. 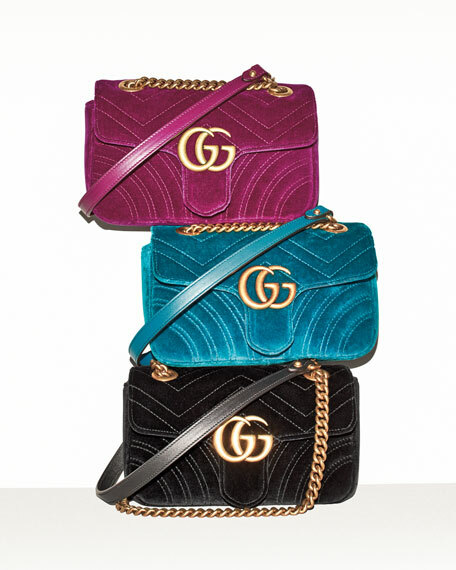 Flap top with interlocking GG; push-lock clasp. 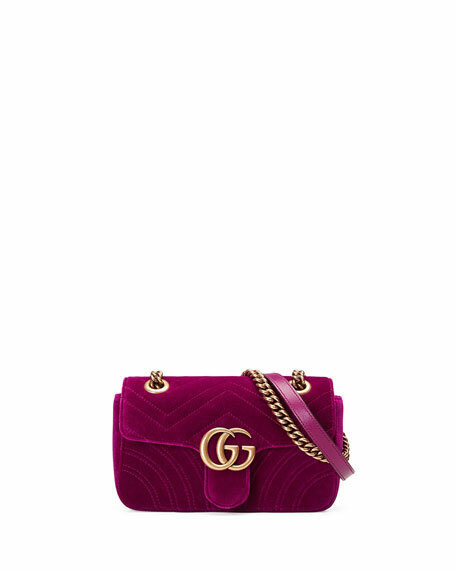 5.5"H x 8.5"W x 2.3"D.
"GG Marmont 2.0" is made in Italy.